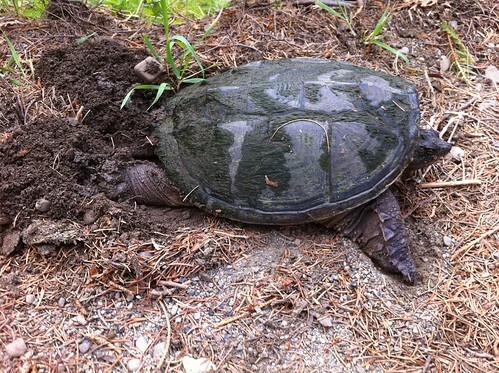 I have been seeing many females Snapping Turtles laying eggs along the road side this year. This entry was posted on 20 June 2011 by mon@rch. It was filed under iPhone . Seems like a less-informed place to put the nest, doesn’t it? Hope things are well – haven’t seen you much on Flickr (of course, I haven’t been there much either). 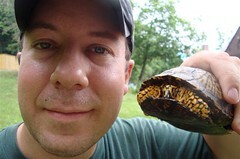 I saw two on June 4 at a campsite. I didn’t see active egg-laying, but I think that was the intent., given their travels.